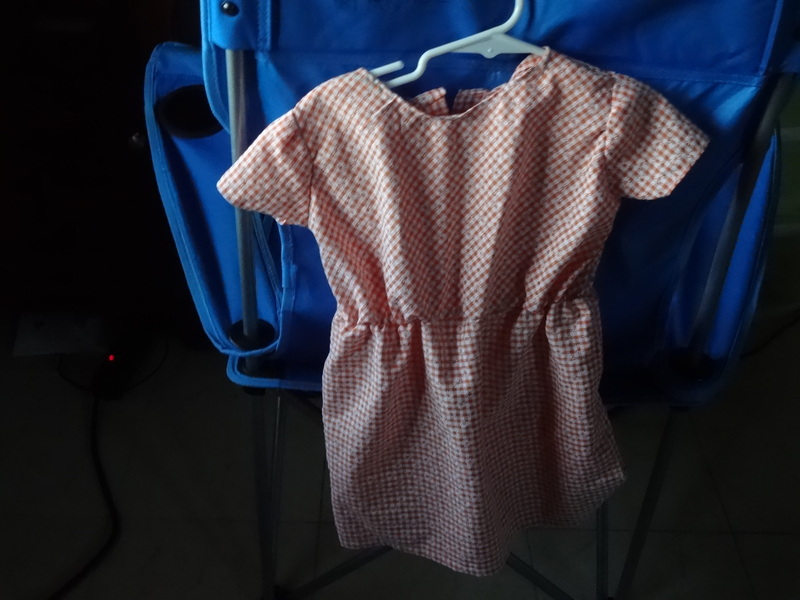 I didn’t promise the twins that I would finish these dresses in time for Easter, so I was careful to call them springtime dresses before they were done. Turns out, I finished them prior to Easter Vigil, so the twins did, in fact, get Easter dresses. Not too bad for sewing what was essentially four tops and two skirts in about three weeks (working after kids had gone to bed and a little on weekends). The outer fabric is a very thin cotton jersey knit that needed a lining. Since the skirt is so ruffled, it didn’t need lined, but the top certainly did. To make it easy, I drafted a raglan sleeve pattern based on their measurements, and checked against a t-shirt to figure out where to put the arm seams. 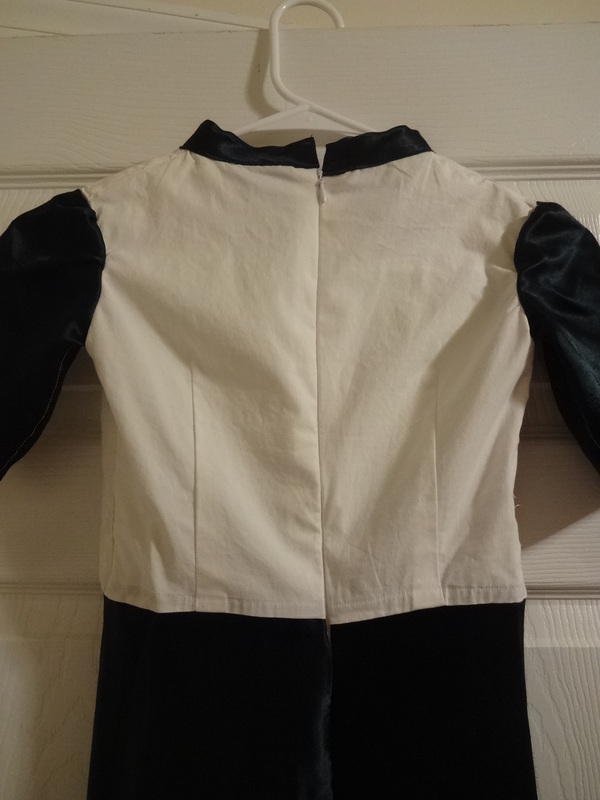 The part that took me the longest was figuring out how to get the sleeves sewn together so that the seam was hidden. Here’s how I did it (but I’m sure there’s an easier way). Here’s the bodice, with the lining joined at the neck. Right now, the sleeves are not together so you can pull them through. 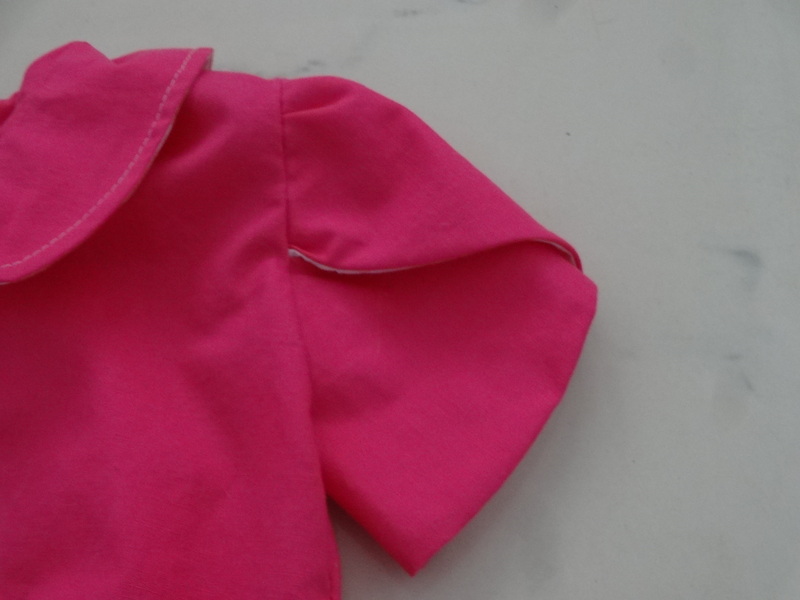 Pull the outer sleeve through the bottom, turning it inside out. 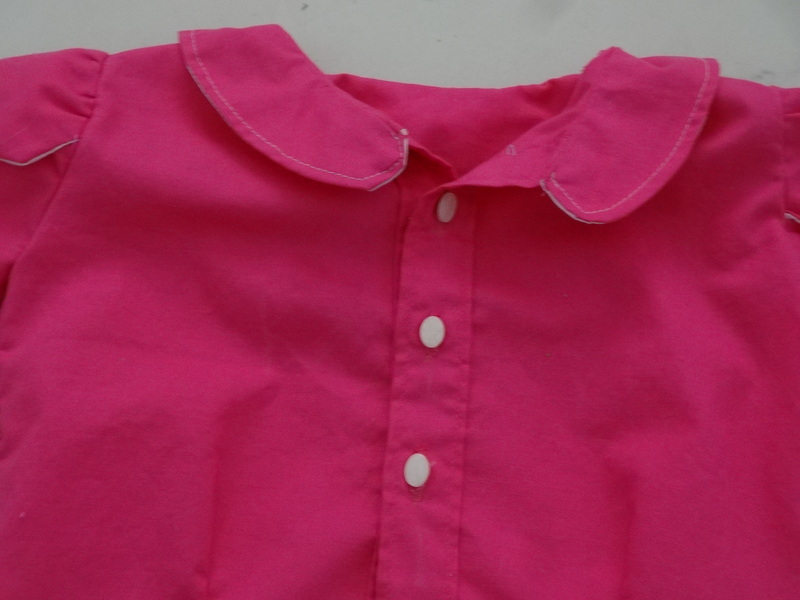 Pull the lining sleeve out the bottom, but do not turn it inside out. You already have the wrong side since this is going to go inside the outer fabric sleeve. Outer and lining pinned together. 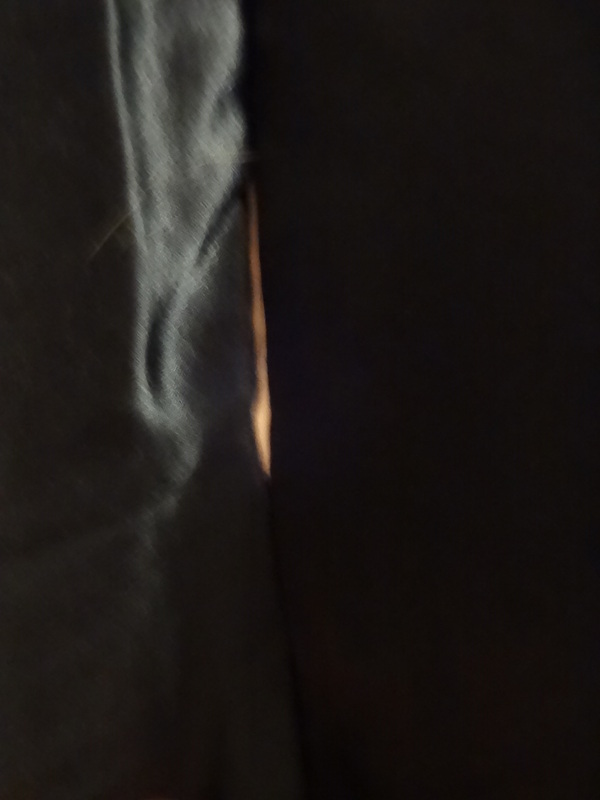 On the sewing machine, going over the under-arm seam (the parallel pins in the previous picture). Finished sleeve seam. 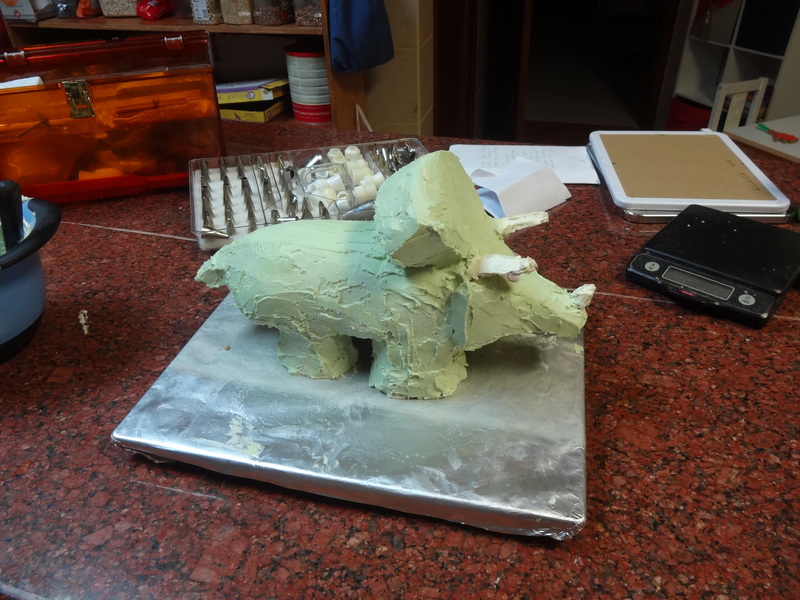 The raw edges are tucked inside. The other techinque I finally got to work was running a gathering stitch. Usually, I use thousands of pins and sub-divide repeatedly. Since the skirts are the full width of the fabric, this would have taken hours and not really have looked that great. This time, by setting my tension at almost zero, I was able to pull the thread easily and get some pretty decent gathers. 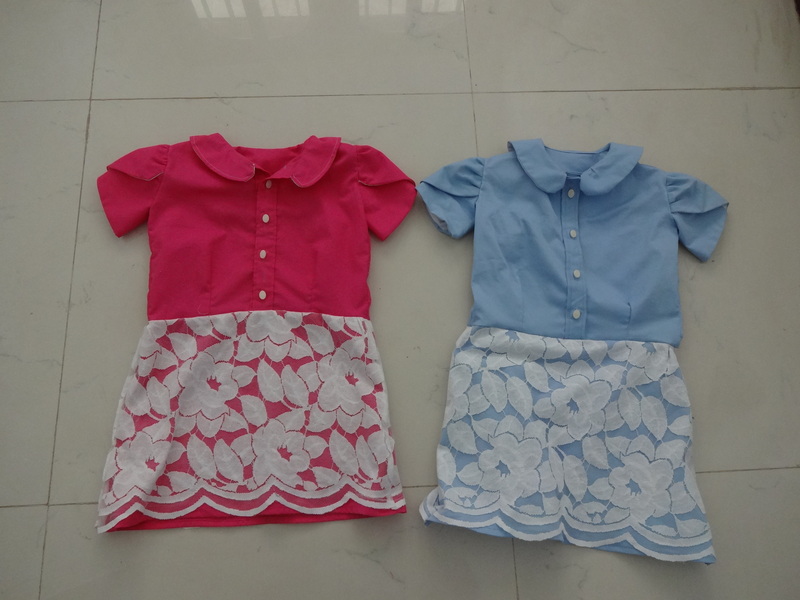 Easter dresses for the twins that should get a lot of use this spring and summer given how comfy they are and how easy it is to put them on. Since it was such a quick and easy project (once I figured out the sleeves…), I may have to work with Yakum to sew her a similar dress. Yakum and Ikinji’s school is putting on Disney’s Little Mermaid Jr. (I think I got all the required parts in that title…) for their annual musical. Both Yakum and Ikinji decided to participate this year. Of course, this requires parental volunteers to pitch in and do various things, like chaperone at rehearsals, and make sets, props, and costumes. I volunteered to help out with costumes, and selected the octopus costumes. The woman in charge of costumes had printed several ideas from Pinterest, and the one that was built on a hoodie seemed the easiest. In essence, eight legs hanging from the bottom of the hoodie, with eyes attached to the hood. Simple! Well…until I got creative and saw the Instructable DIY Octopus Costume that gets you curly legs. Bingo! Curly legs attached to the hoodie should look great in the big “Under the Sea” production number, and make for an easy costume change. the best of times, let alone when you’re trying to insert eight stuffed legs on top of it. The eyes are just felt, with the black pupil hot glued on, then sewn on the hood with a little stuffing to make them bulge some. 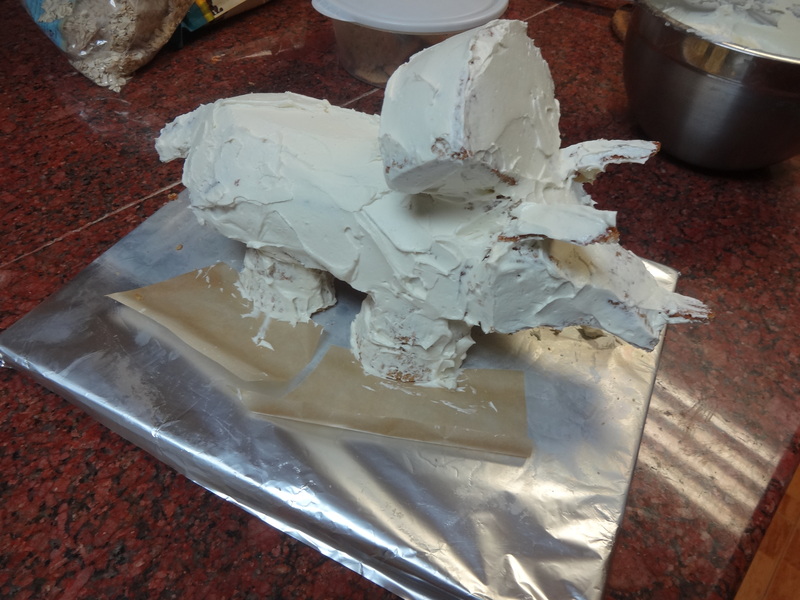 This was the easiest part. So, forty legs later, and the pod of octopi is done. A little creepy when they’re all together like this. Just in time, too, since the jeans he basically lives in are 1) too short and 2) developing holes in the knees. Also, just in time for the weather to turn too warm for him to really want to wear jeans, but that’s beside the point. They’re done, and it only took me four months to do it. It took me a long time to figure out how to do the front pockets with the facings. It turns out, the simplest way is the best: just put the facings on top of the pocket material rather than trying to cut out the facing shape from the pocket material and join the fabrics. Still, pockets can be a little tricky to visualize which side winds up being in and which one out. The pocket tutorial at Ikat Bag was really helpful. Not the cleanest interior, but it shows how I put the facings directly on the pocket. I also re-did the waistband three times. The first time I somehow cut it too narrow, the second time I messed up the front, but the third time I got it sorted out and it went pretty smoothly. I still had to unpick and resew the thing several times, but it finally went on. Finally, I figured out that flat-felled seams don’t look nearly as impressive without contrasting thread for the topstitching. 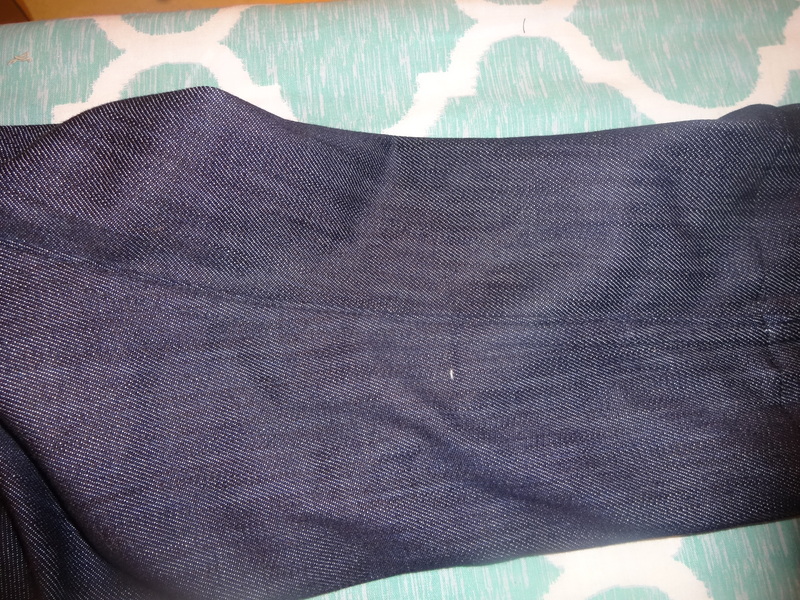 Flat felled, not that you can actually tell with black thread on dark indigo denim. I should be good for a year since I built in a couple of extra inches in the hems. If not, at least the next pair should go more quickly. I actually finished it time for Yakum to wear to midnight mass. OK, I was finishing it at about 9:00pm (timing went out, broke a needle, had to re-wind a bobbin, everything that could go wrong when you’re trying to finish a project at the last minute), but it got done. A simple dress with a bodice out of a stretch white cotton with an embroidered eyelet overlay, and sleeves and an ankle-length quarter-circle skirt out of dark green crepe-back satin. My initial plan had been to do the eyelet over the sleeves and a partial overskirt. 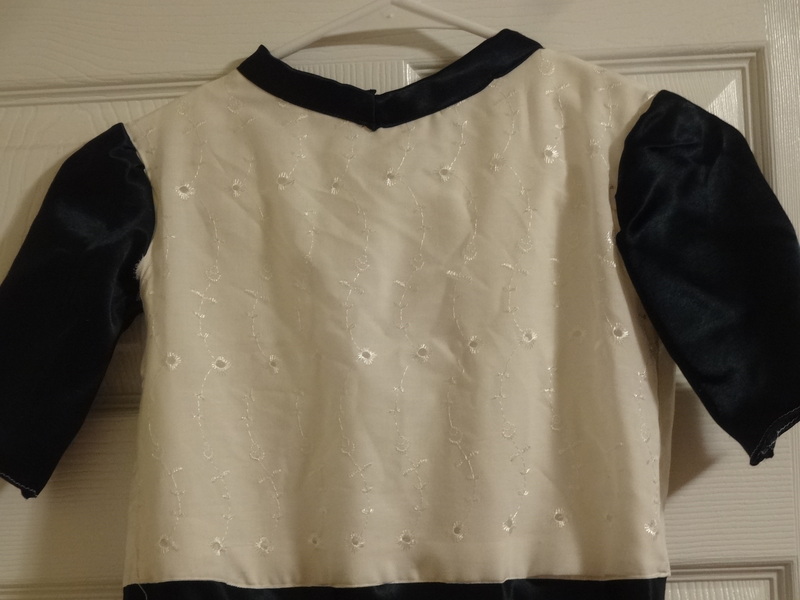 Once I had it together, my wife pointed out that the matte bodice looked a little odd against the satin, and thought the eyelet would go better over the bodice, rather than the sleeves. She was right, of course. This was my first time putting in an invisible zipper. It was surprisingly easy. You just have to stop and think through how it will look once it’s closed, and pin accordingly. I did it without a specialized foot, since the one in my cheap set of multiple feet didn’t want to work with this zipper. Yes, I messed it up at the very bottom and should probably go back and hand stitch that small gap closed better so it doesn’t show. 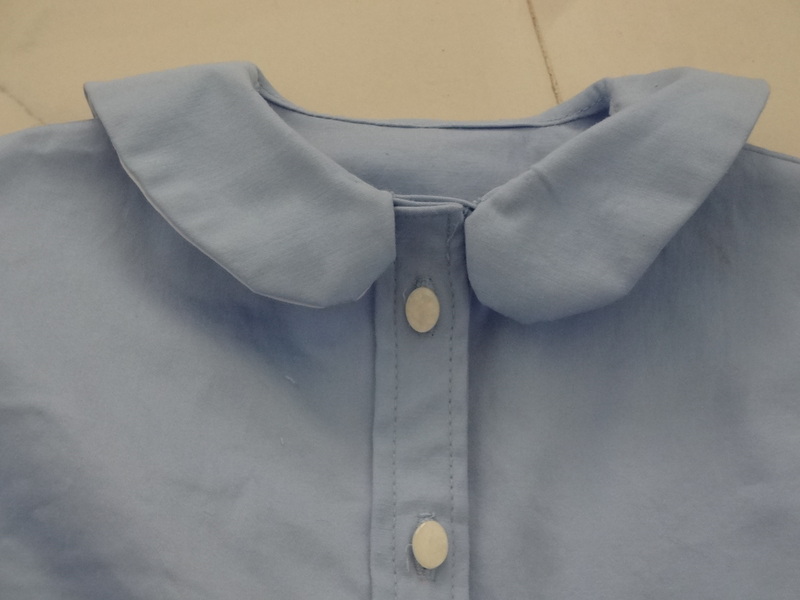 It was also my first time doing a bias binding on the collar. Not too terribly hard, even with trying to make a point in the middle. 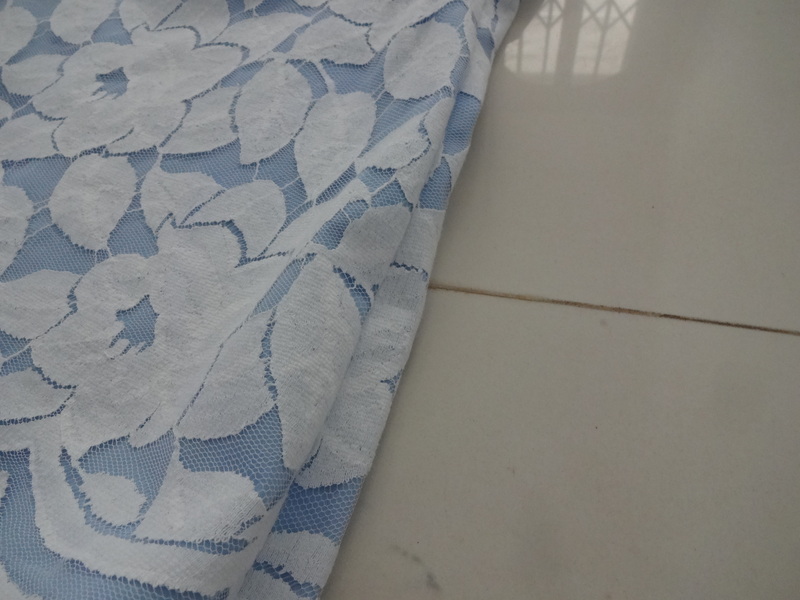 The white thread on the rolled hems (skirt and sleeves) is, in fact, intentional. It was either that or use a green that just would not blend in. Given the options, I went with the white, which suggests rime on evergreen boughs (maybe if you squint a little, but I’m going with it). Overall, I’m happy with it, and so is Yakum. There are a couple of other little details that went wrong, but the overall effect is pretty good. 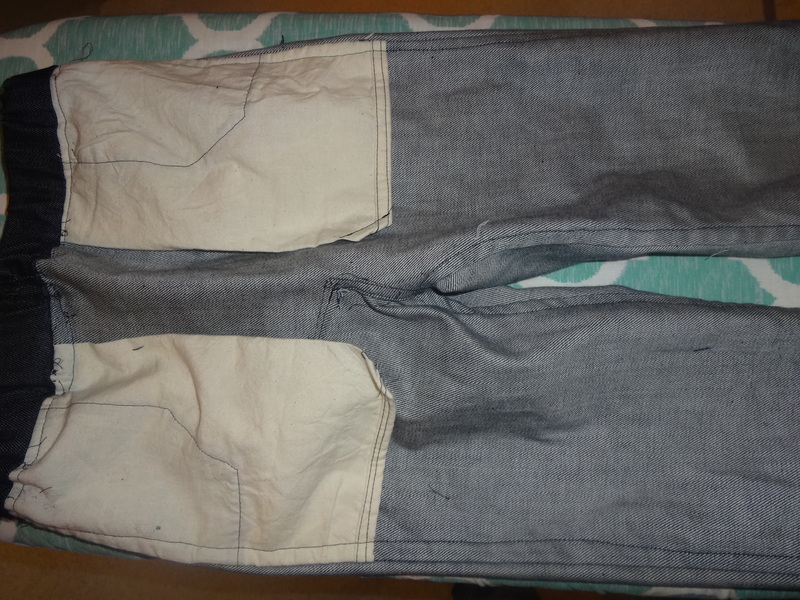 Now for my next project, jeans for Ikinji. I more or less finished costumes for the kids this afternoon, just minutes before we dashed out the door for the local Halloween parade to see some of the costumes (especially the decked-out strollers (I liked the Pac-Man rendition) and pet costumes (Spider-dog, walked by Spider-Man, was really cool)) and hang out with friends. I say more-or-less because I still want/need to put a hood on a cloak, but it was wearable without. Worn with a long blue skirt, this was St. Joan of Arc’s armor. Definitely could have put a fleur-de-lys on the front to make it more obvious. 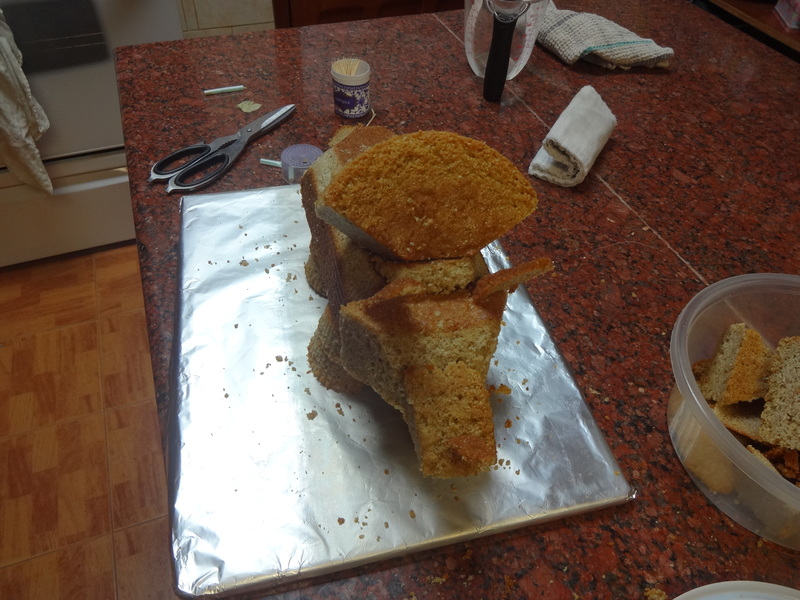 Also, it wasn’t as structurally sound as I had hoped, and next time I make cardboard armor the opening will be either on the side or back, rather than trying to tie the shoulders closed and support the weight on relatively weakened points in the cardboard. St. Martin of Tours’ half cloak and centurion helmet. Really pretty easy to do (a white shirt with a red rectangle pleated to half of it (and yes, I actually cut fabric for a full cape and cut half off to get the right fullness). Ikinji gets to wear it for at least half the school day on All Saints’ Day and give a short report about Martin of Tours. St. Brigid of Ireland’s cloak, based on the story about her having a vision of rocking a baby boy to sleep while wearing her tattered cloak. Turns out, the boy was Jesus in the stable, and in thanks, the holes in her cloak had turned to stars. I took some liberty and turned the large Star of Bethlehem into a St. Brigid’s cross. Out of all the costumes, this took me the longest, but will be wearable for cooler weather. Once I get the hood on it. Probably the most iconic, and the one that took the least amount of time, is St. Theresa of Calcutta’s (Mother Theresa’s) sari. Two flour sack towels and some blue painters tape. Out of all the costumes, this was the most recognizable, and the one that garnered the most comments. With a lace-overlay skirt. 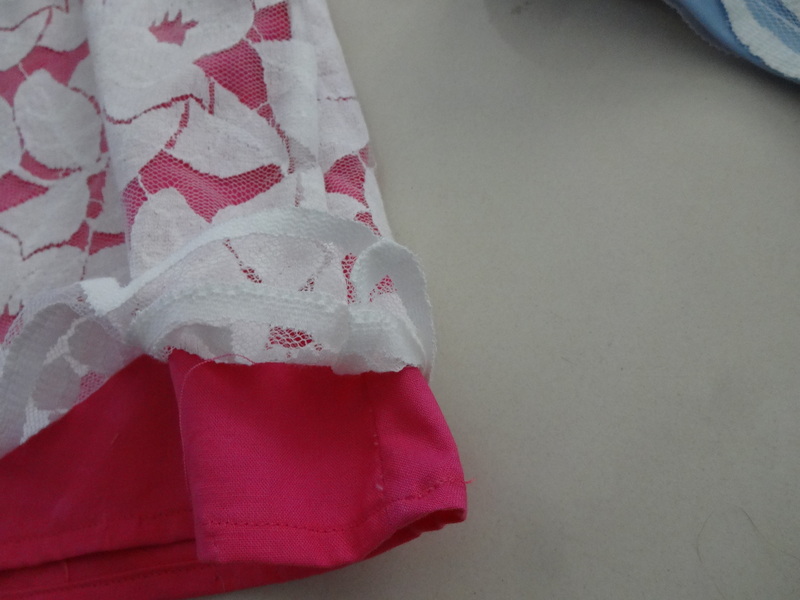 On the pink, the overlay is a separate skirt, on the blue, it is fully attached along the side seams. 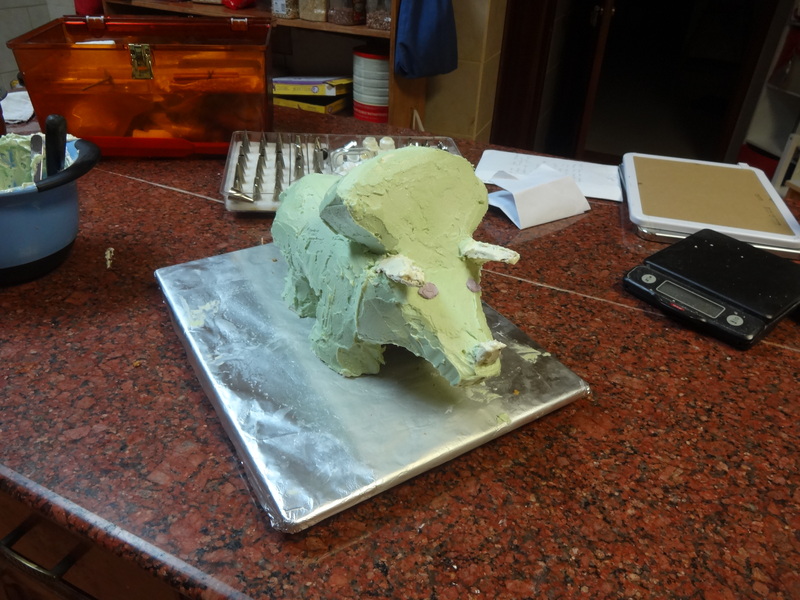 I did the pink one first, so there are some…errors. The most obvious is that the collar doesn’t sit quite right. 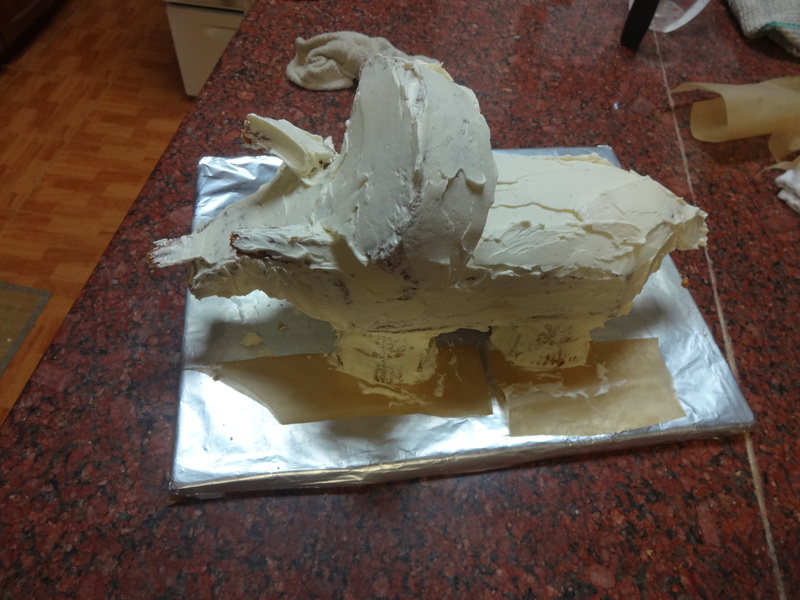 It isn’t bad, but…it isn’t perfect. I got it right on the blue one, but it took three tries to draft it just right. The first two were too small. The blue fabric also has a bit more body to it, so I think that contributed to the collar rolling just right, and to the sleeves holding the puff a little better. The pink fabric was a remnant I bought last time I was in the U.S., so I’m not going to complain. It turns out I drafted the dresses just a little on the big side. The pink one, for Quarta, is just a bit big, while the blue one, for Tertia, is large. The upshot is that they’ll be able to wear them for a little while, at least (especially since their birthday dresses are getting just a little small). Another plus is that they should be able to put them on and button them on their own. Today, Ikinji helped me sew purple coverings for our religious statues (Our Lady of Fatima, another statue of Mary, a brass wall hanging of the Sacred Heart, and a crucifix). 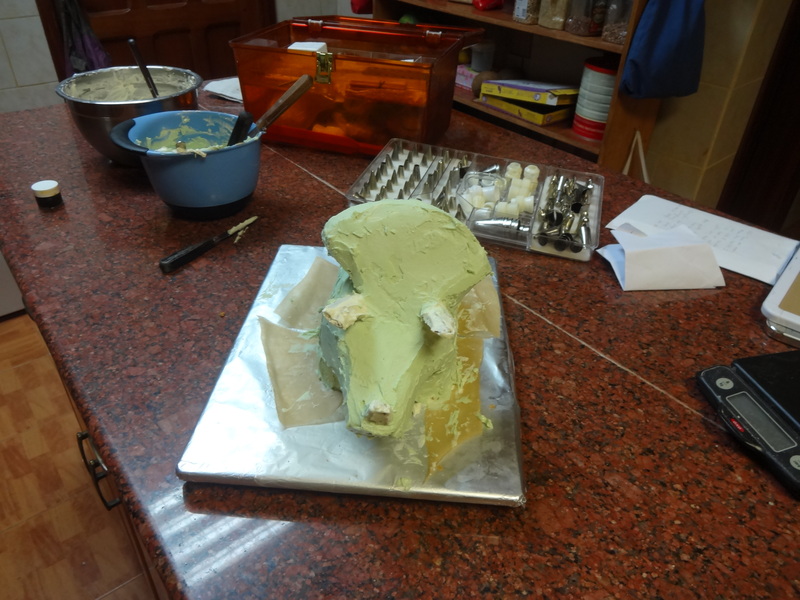 It went really well, and now we’re all set for Holy Week. By rights, I should have done a new dress for Yakum, but just ran out of time. The one I made for her last year still basically fits, so she’ll be OK for Easter. Ikinji needs a new shirt or two, and some shorts as well. 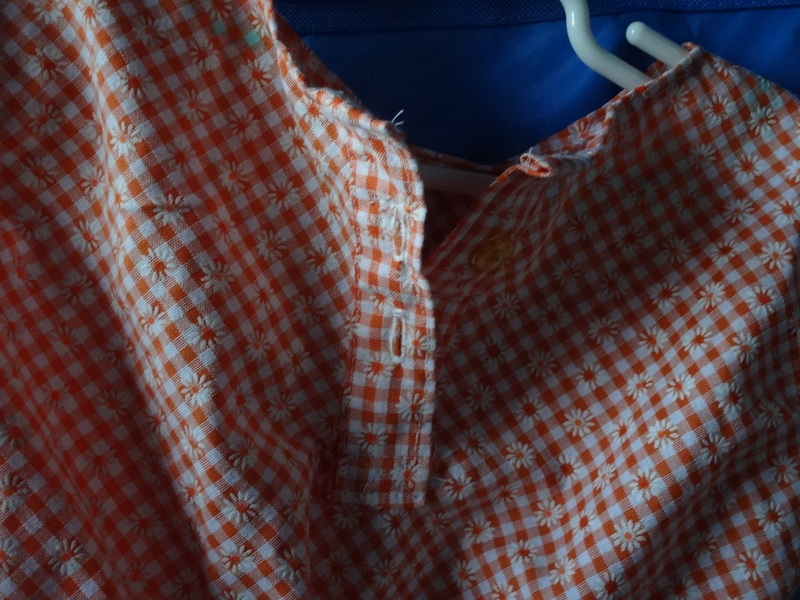 I’ve worked out a raglan sleeve polo shirt pattern for him, and have pieces cut, but probably won’t get around to sewing it until after Holy Week. Today, Ikinji helped me sew purple coverings for our religious statues (Our Lady of Fatima, another statue of Mary, a brass wall hanging of the Sacred Heart, and a crucifix). 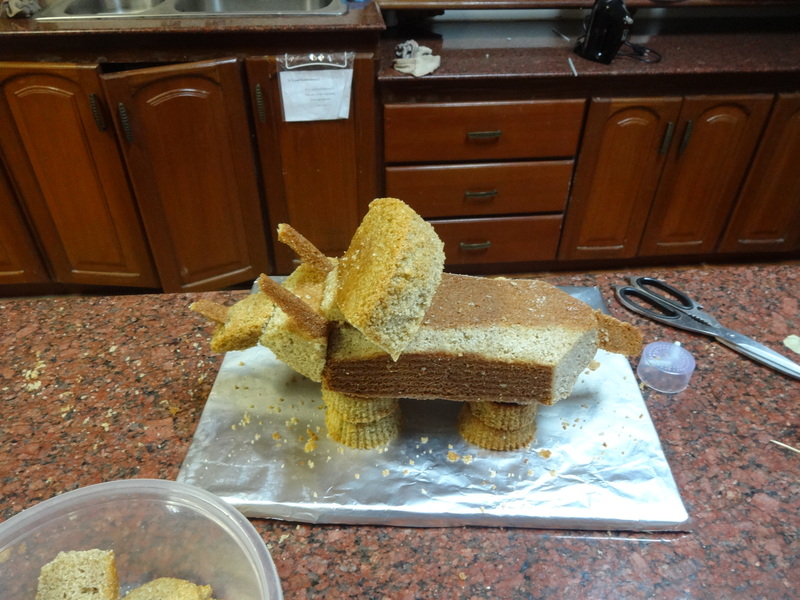 It took a little over an hour to measure, cut, and sew, but it went really well, and now we’re all set for Holy Week. 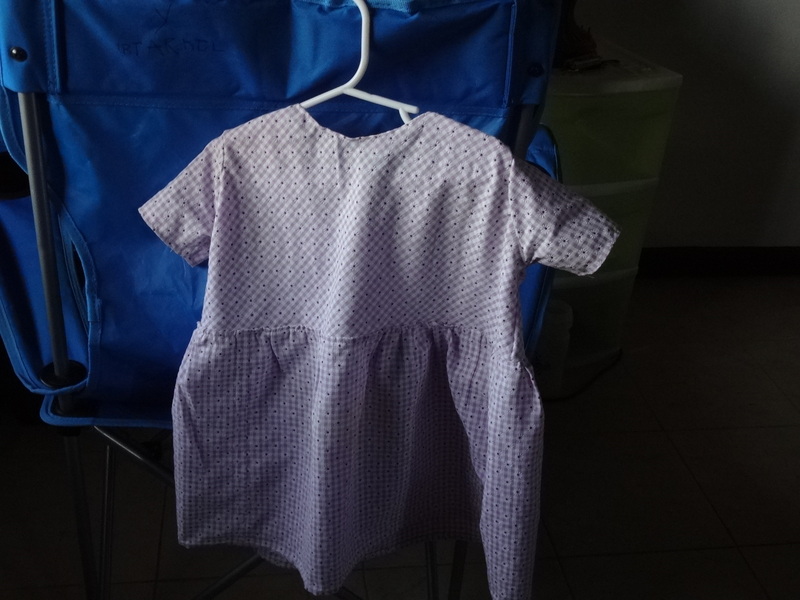 I finally finished the last dress. Set-in sleeves, back darts and a facing around the neck. I largely followed the process at ikat bag for modifying the bottom of a sloper. All of her tutorials are excellent, and really helped me figure out what on earth I was doing. Well, how to make the dress at least. Considering I’ve never actually sewn before, making so many fabric/garments for gifts this year was probably a little on the crazy side. Ok, a lot on the crazy side. I had a good time, and learned lots doing it. Once I get back from travel, if I have time, I might have to make a wrap skirt for my wife, and possibly something for me. 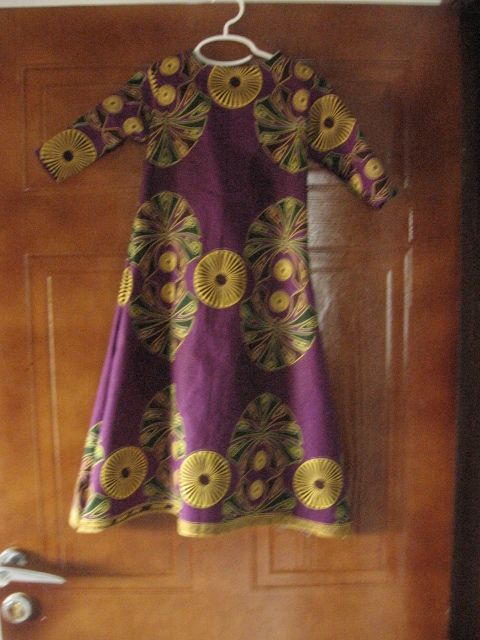 The pattern is the raglan sleeve nightdress from Ikat Bag. I’ll probably have to add elastic to the neckline, or do something to close it up when they wear the dresses. They go together very quickly, and it would have been lightening fast if I had used knit or something that doesn’t require finishing for the seams. 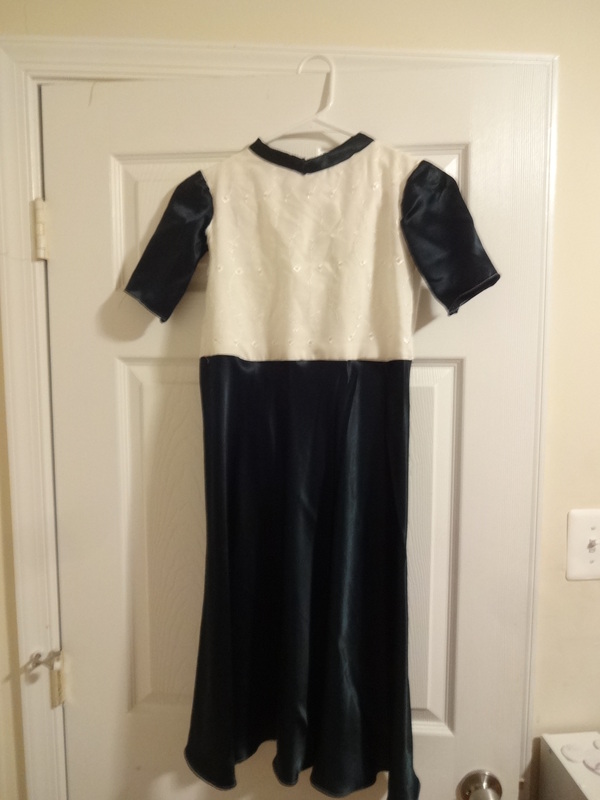 As is, I french seamed most of it, with a rolled seam for the neckline. Now I understand why so many patterns are reversible. You don’t have to do things like flat-fell curved seams. The bonnet pattern comes from The Purl Bee and the hat from Oliver + S.
My apologies to the pattern designers for failing to do justice to their work. Next up, a dress for Yakum. 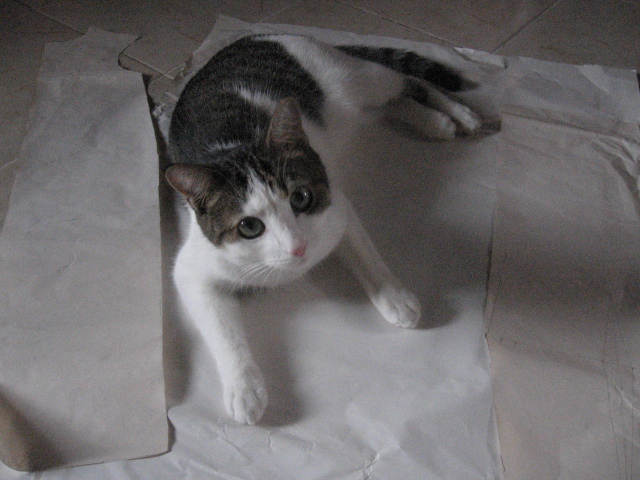 Benson helped draft the pattern.